A Burst water main on Monday morning (25th Feb) on the corner of Malden Road and D'Arcy Road has caused extra traffic problems along the A2043. 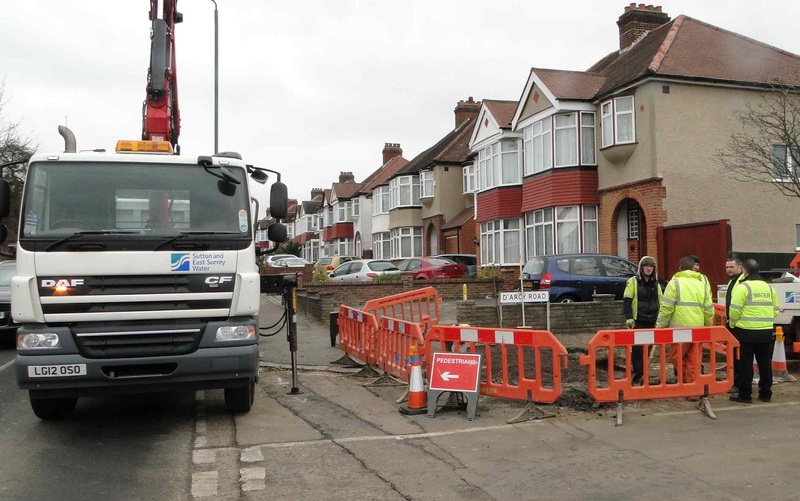 Sutton and East Surrey Water were on hand to block the main road and repair the damage. Traffic is now back to normal just taking a mere two hours to travel between Worcester Park and the A3.